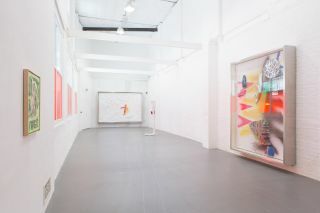 Title : Installation View of Survey at Jerwood Space, London, 3 October - 16 December 2018. An assembly of work from fifteen early career artists who have been nominated from across the UK, ‘Survey’ is an exhibition comprising a wide range of disciplines. 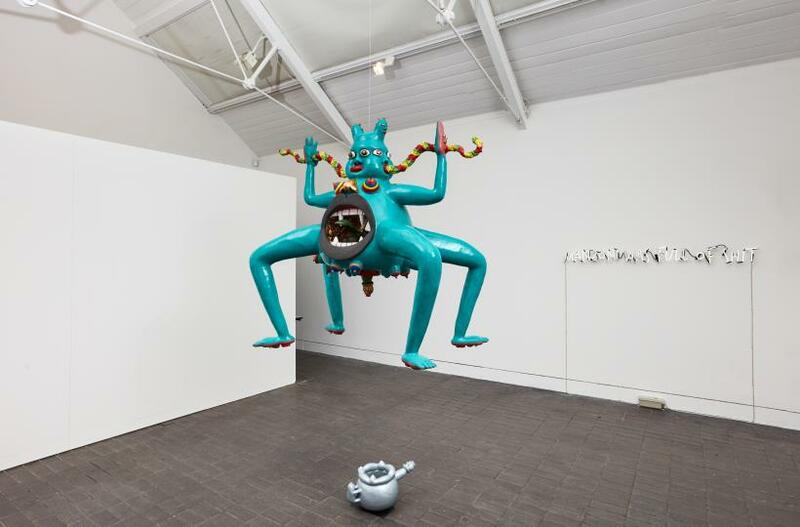 From film, performance and drawing, to painting, ceramics and installation, it gives rising voices within the sector the opportunity to stand out and stand up. The artists not only come from different regions but also from within different professional and practical backgrounds, showing a spread of theoretical knowledge, as well as diverse academic experiences. ‘Survey’ provides an excellent overview of contemporary art practices and supports the concept of peer-to-peer collaboration, giving particular importance to work in progress. It reflects on the growing need for artist networks to support individual practices, moving these beyond the frame of the commercial art market and past the nature of societal over-consumption. The exhibition itself is widespread in thematic approach and at first glance seems majorly chaotic. 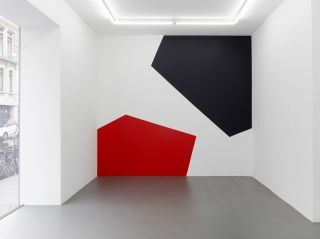 Only once encountered individually do the works reveal traces of coherence and unforced thematic parallels. A little pond is Hazel Brill’s ‘We gathered around the puddle, smiling patiently’ (all works referenced 2018). As one glances into its water an audio and video visual is projected on to the water surface. The sculptural video installation embodies a pond positioned in the city, referencing public space, urban design and landscape gardening. To the left of the water is a pseudo performance stage. This is Milly Peck’s ‘Landing Good Sync Will Pay Dividends’. Recreating sounds of the everyday, her study makes reference to Foley. Using the concept of the stage as a theatrical set engaging and interweaving the viewer as a part of the work itself, the piece captures the adaptability and the improvisatory nature of her research subject. Introducing captured everyday sounds creates an uncertainty and detachment between audio and visual narrative, and converts this into an exaggerated state. Continuing to walk through the spaces, I was particularly drawn to a fictional newspaper excerpt which makes a back-to-the-future jump, giving an insight into 2020. ‘02.11.2020’, playfully assembled by Frank Wasser, constructs an imaginary narrative including the assassination of Donald Trump and a British government under Jeremy Corbyn. The work allows the viewer to enter an eerie new reality, as if the work embodied a threshold. In contrast to the newspapers, Lindsey Mendick explores not collective possibilities but notions of collective memories, reflecting on subjective associations to objects and the power that they confer. This is explored in ‘I’ll Always Love You But I Don’t Always Like You’ via personalised ceramic reproductions from within her family home. Mendick has constructed artefacts with the help of her family and friends who directly relate to her past and present self. The reproductions are collectively displayed on an oak dining table, constructing a mirror image of what has been, is and might become. Her work highlights past experiences and encounters in order to understand how memories are re-lived and how memories shape the way future scenarios will be perceived. ‘Survey’ confronts anxieties related to societal belonging, self-subjectivity and even self-destruction. The exhibition tries to understand where such anxieties and powers collapse on to our consciousness – how our ideas of self are triggered and manipulated. It leads the audience toward questions of normality, morality and freedom. Thomas Goddard’s piece reflects on experiences that we encounter within the digital age. With his work ‘The word of mouse (grok your cornea gumbo’, Goddard combines still images and scenes from within pop culture, highlighting the indisputable presence of digital technology in our daily lives for better or worse. 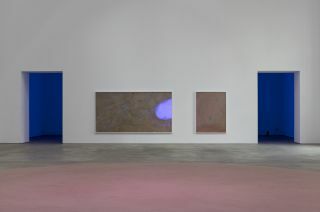 Like Goddard’s phrase ‘cornea gumbo’, the exhibition asks open questions. How do the images of our present become carved into ourselves? Do they influence not only what we see but also how? The artists here explore themes around the familiar, subject identity and self-positioning within current social and political environments, their individual artist-bodies and their homes. 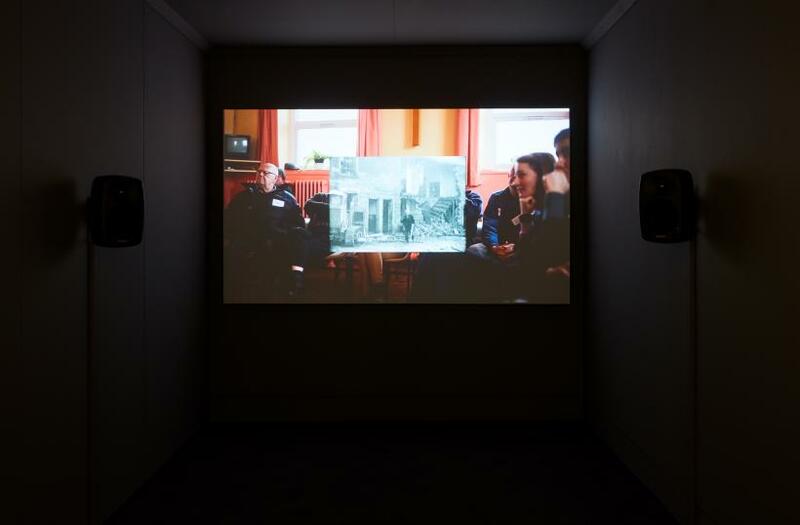 Accompanied by a further series of performances, viewings, screenings and talks, the exhibition results in a feeling of strong collective responsibility for a kind of counter-action to the instruments of power that influence and overtake us as individuals. The exhibition, however, is less a protest than a series of individual statements and highlighted data collections. 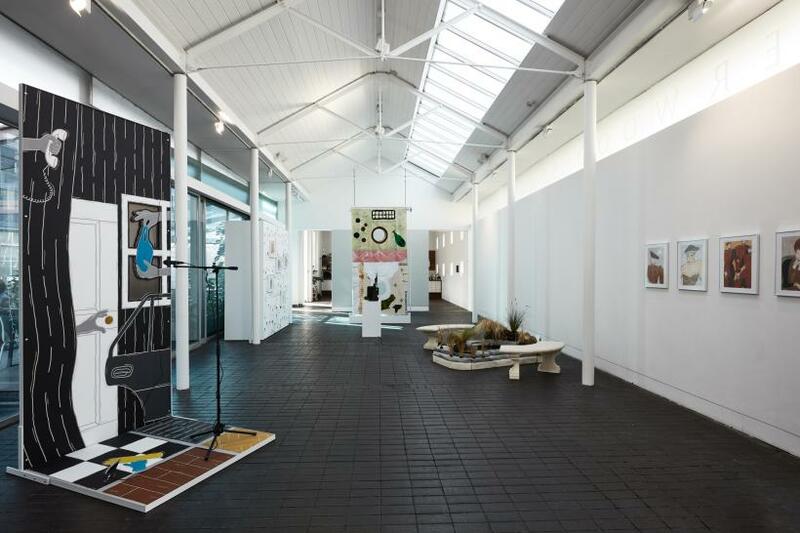 Recreating an everyday through narratives, collaborative processes, collective memories and associations between subjects/objects, the exhibition assembles a collective site survey of the contemporary.